An Exclusive from legendary life-changer Zig Ziglar! in all facets of your life . . . as you deserve. The answer:Zig Ziglar, of course. The man who almost single-handedly launched the personal development industry. And now for the first time as a digital download including 15 MP3 Sessions, 3 Digital Videos of the seminar, plus PDFs of the workbook and performance planner. The 15 sessions span the complete two-day seminar experience. 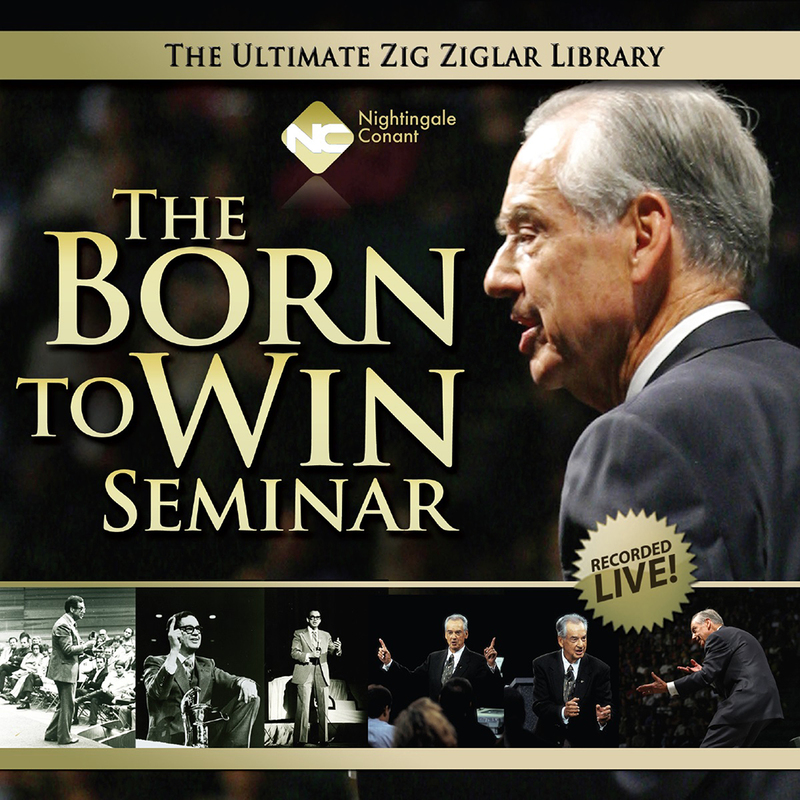 Throughout the audio, you'll find comfort in Zig Ziglar's energetic wit, down-home charm, and unforgettable stories. You see, Zig speaks to you as if you're front-row center at one of his sold-out seminars. YES, I'm ready to start leading the life I was born to live! or you don't pay a single penny! After you listen to the seminar and watch the videos, if you aren't poised to win at life, you can return the physical CD/DVD program anytime within 30 DAYS and receive a FULL REFUND of the purchase price —no questions asked. “For most of my life, I thought success was for other people, not me. and Born to Win helps you achieve your greatest dreams. Founder of Famous Dave's of America, Inc.
You Were Absolutely Born to Win! I'm ready to start leading the life I was born to live… to WIN at life using Zig Ziglar's proven strategies and perspectives. The Born to Win Seminar, at the special price below. - I can select one of two ways of ordering. A View from the Top, Goals, Raising Positive Kids in a Negative World, Courtship After Marriage and many more! Zig Ziglar not only developed champions, but to his family, friends, peers, and business associates, he certainly was one. Zig Ziglar was the chairman of the Zig Ziglar Corporation, headquartered in Dallas, Texas, an organization committed to helping people more fully utilize their physical, mental, and spiritual resources. A world-renowned author and speaker, Zig had an appeal that transcended barriers of age, culture, and occupation. During his lifetime he traveled more than five million miles across the world delivering powerful life-changing messages with humor, hope, and enthusiasm to audiences of all kinds and sizes, cultivating the energy of change.